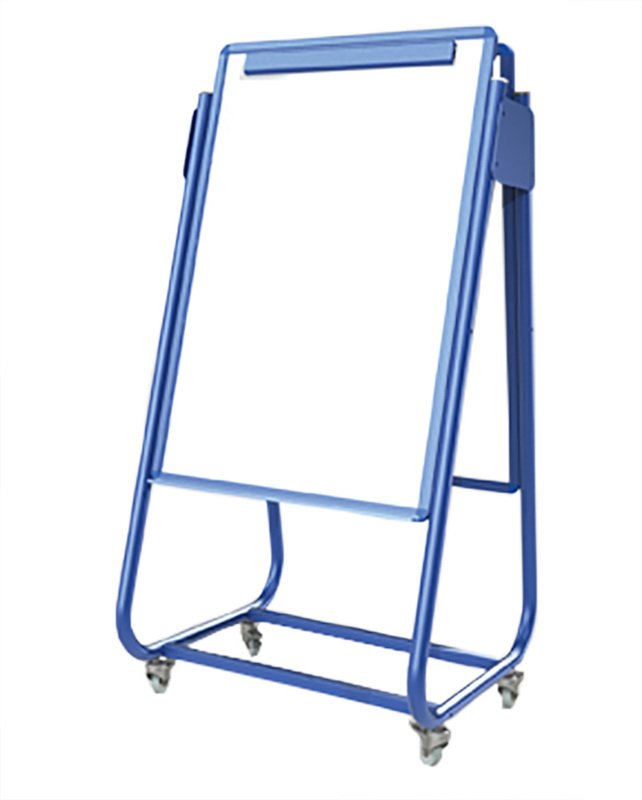 A mobile display easel with magnetic whiteboard surface which can be single or double sided. The unit has 4 easy glide lockable castor wheels, so it is easy to move and lock into position. Ideal for use in schools, pre-school and nurseries. Choose from a red or blue frame. 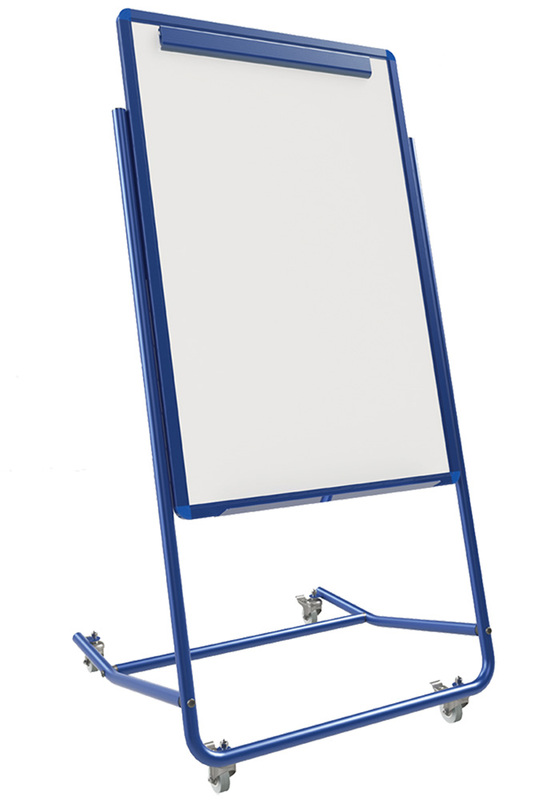 This whiteboard has been ergonomically designed with an optimum 12.5° writing angle and has a big book display ledge and flipchart clamp.